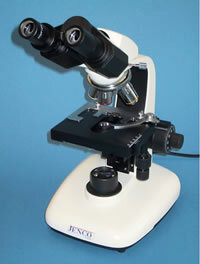 Designed for ease of use, the CP Series allows a novice to approach the microscope and quickly analyze their specimen. Void of complicated features, the CP Series offers pre-centered lenses and condensers, preventing operator confusion. High eye point eye pieces, a rear facing turret for easy slide handling and a choice of lenses that provide large, flat fields of view offer brilliant images and outstanding resolution. Built to take rough handling, the CP Series' frame, focusing and stage mechanisms are all metal construction because plastic wears over time. Spring loaded objectives protect against abuse but a focus stop control prohibits stage ramming accidents. 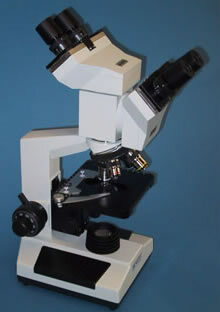 Anti fungal protection and all glass light collectors ensure these microscopes will outlast their industry leading 5 Year Warranty. EMS keeps prices low, quality high. 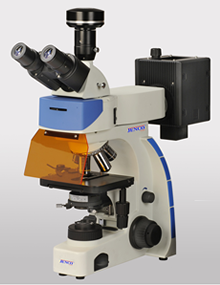 Our microscopes virtually eliminate down time and our optics deliver brilliant images. Your purchase will also be protected by our Industry leading 5 year limited warranty. Incorporating system versatility with outstanding Infinity corrected optics, the BK Series (replaces the JC Series) offers an affordable Fluorescece module to meet this specialized need. Eye pieces - 10X wide field; High Eyepoint, Field Number 22 mm. HBO Illumination - Mercury vapor high pressure arc-discharge lamp, increases depth dimension by 4 in., 10cm. 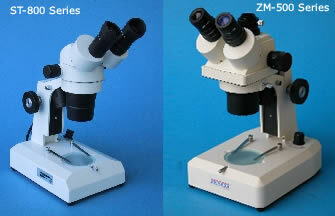 Dissection and observation of macro specimens is more enlightening with our Stereo microscope. The large stage allows ample room for sample manipulation but still fits in a storage cabinet. Their illuminated stands let you choose light from three directions - above, below or both, to help observe opaque or transparent samples. 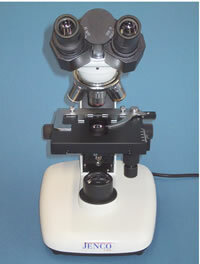 Solid, all metal focusing mechanisms will endure student use well beyond the five year warranty. 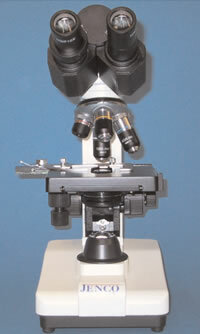 The ST-800 series two power stereo helps students down the road because they select magnification by turning a knob on the head, replicating a process on more sophisticated zoom models. Teachers like them because the eyepieces are locked and don't walk, the all metal frames are built to last and the low voltage bulbs last for hundreds of hours and are easy to replace. Even models with rechargeable illuminators are available. The DG6 Series (replaces the ZM Series) allows infinite magnification changes throughout the range, making available a world of discovery for the student. Additional Eye Pieces for the ZM-500, 15X & 20X, are available on request. All models available with non-illuminated post stand.